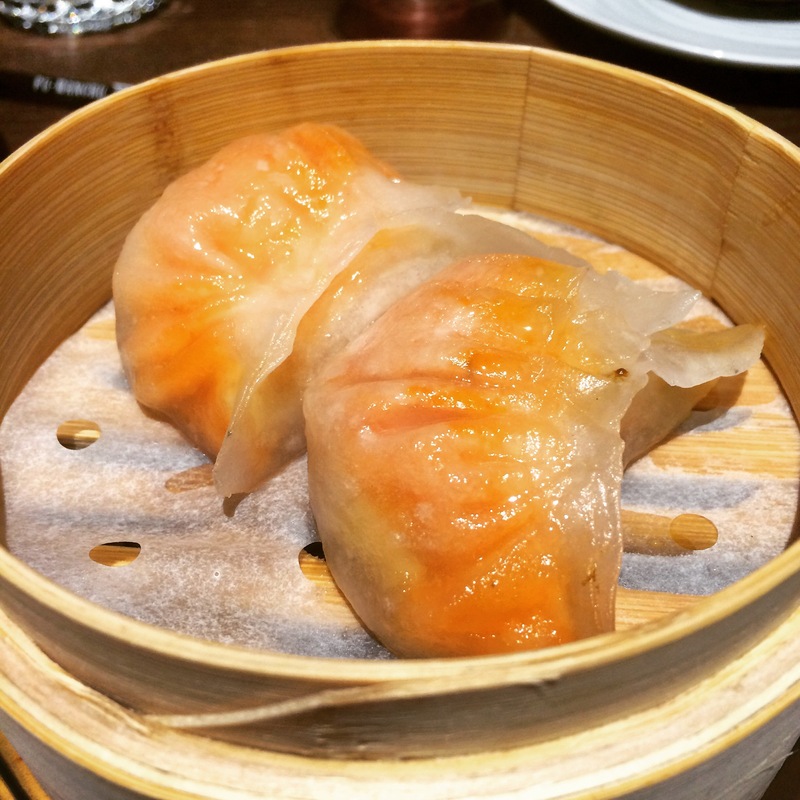 Until I was well into adulthood I thought dim sum comprised mini spring rolls, prawn toasts and – if you were feeling particularly adventurous – a wanton. This packet-to-oven delicacy was normally reserved for Christmas festivities, alongside the annual half-defrosted prawn ring and Marie Rose sauce slushie. Cut to present day and I’m still very far from being a dim sum expert, but I knows what I likes and I seriously dig the food at Fu Manchu. 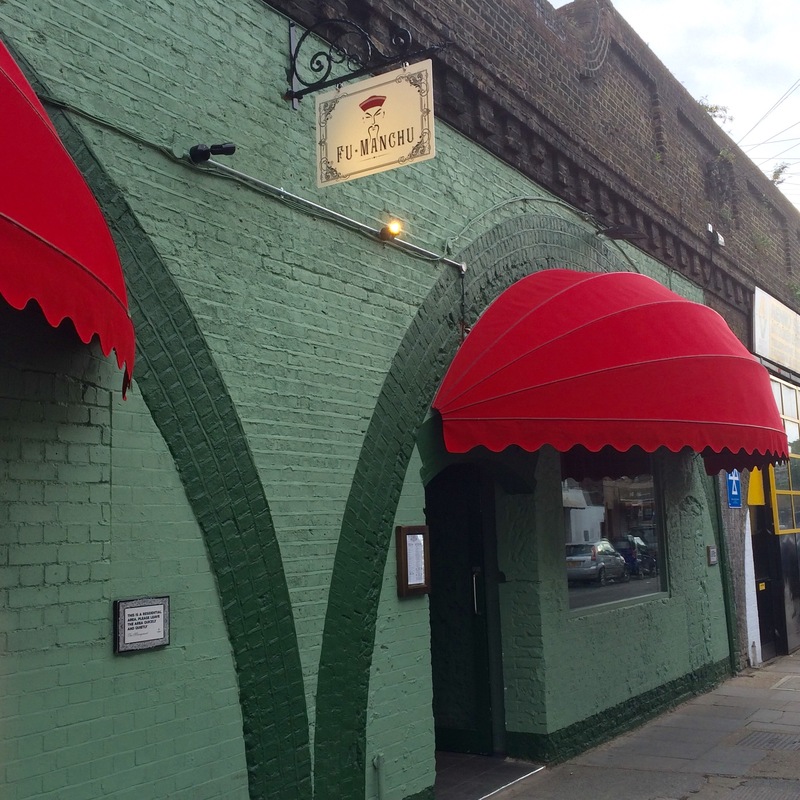 It’s in a great spot under the railway arches around the corner from (shudder) Clapham High St, very imposing with all the exposed brickwork but quite tongue-in-cheek in its grandiosity. A huge mural of the man himself looms over the entrance, pulling possibly one of the finest Blue Steels ever to grace a wall. I found the little dim sum for dummies guide in the top right hand corner of the menu really handy. We went with their recommendation of how many steamed, fried and baked dishes to go for, and got a couple of jasmine jing teas to whet our appetite. Amidst the dumpling-induced blur, I picked out three belters. The curried vegetable were my favourites; covered in a pretty purple crystal skin, they were delightfully plump and crunchy inside. 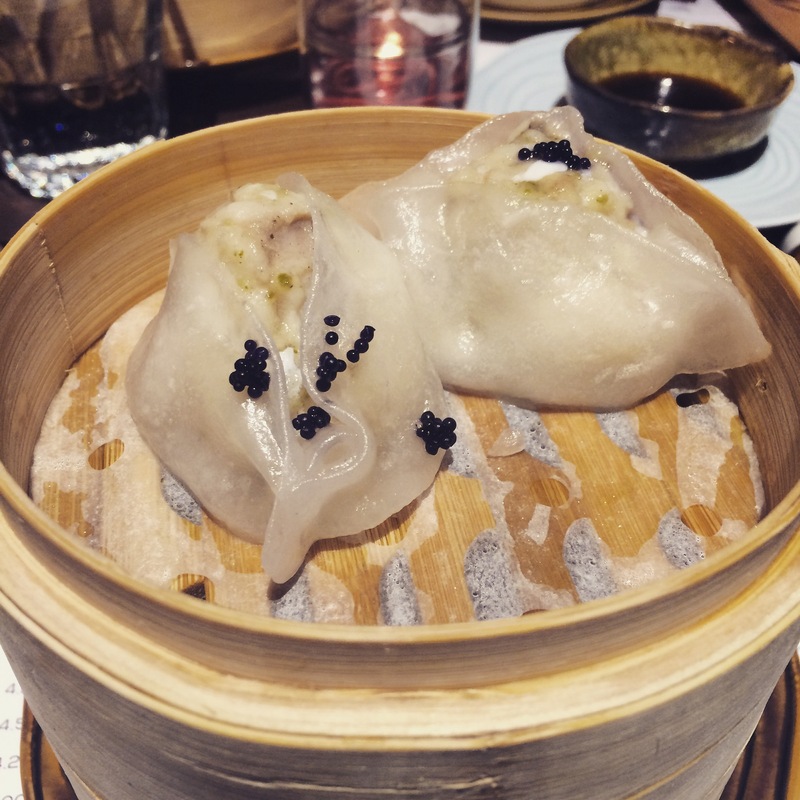 And I couldn’t visit again without getting more of the lobster, prawn and bamboo shoot dumplings. Pure meaty, lobstery, prawny fitness. Props should go to the seamless service. The sheer speed at which we inhaled these morsels, I’d have had no judgement if our waitress Martina had (rightly) labelled us animals, but she was consistently lovely and helpful from start to finish. On to the fried goods. 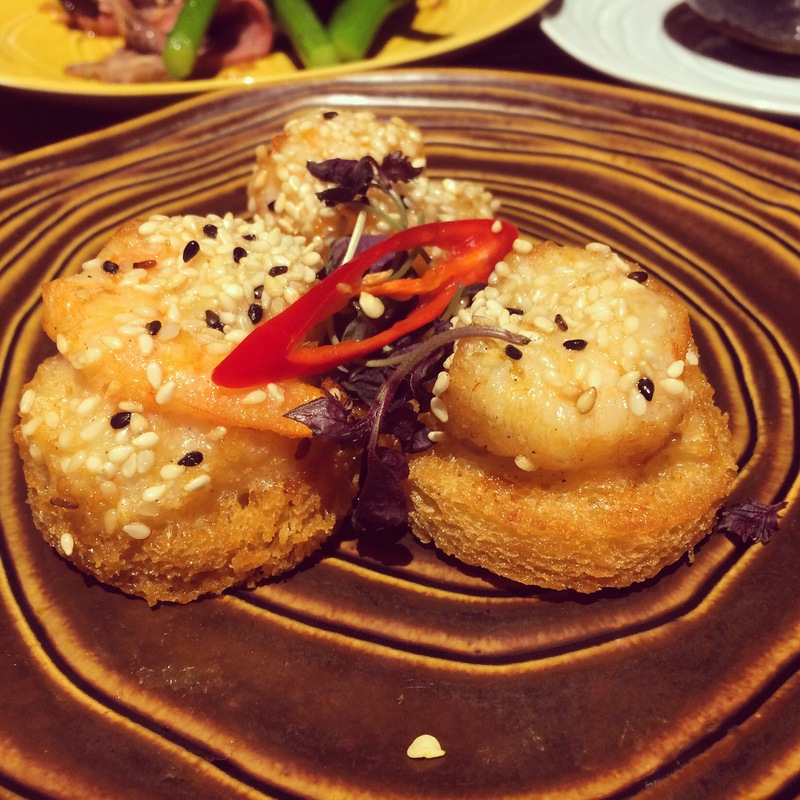 These guys do some mean prawn toasts with proper prawns, and duck spring rolls that actually have duck in them. Both lush. I’ve had so many portions of salt and pepper squid that it all blends into one, and I’m pretty sure every time I eat a portion I say it’s amazing. That said, these were amazing. 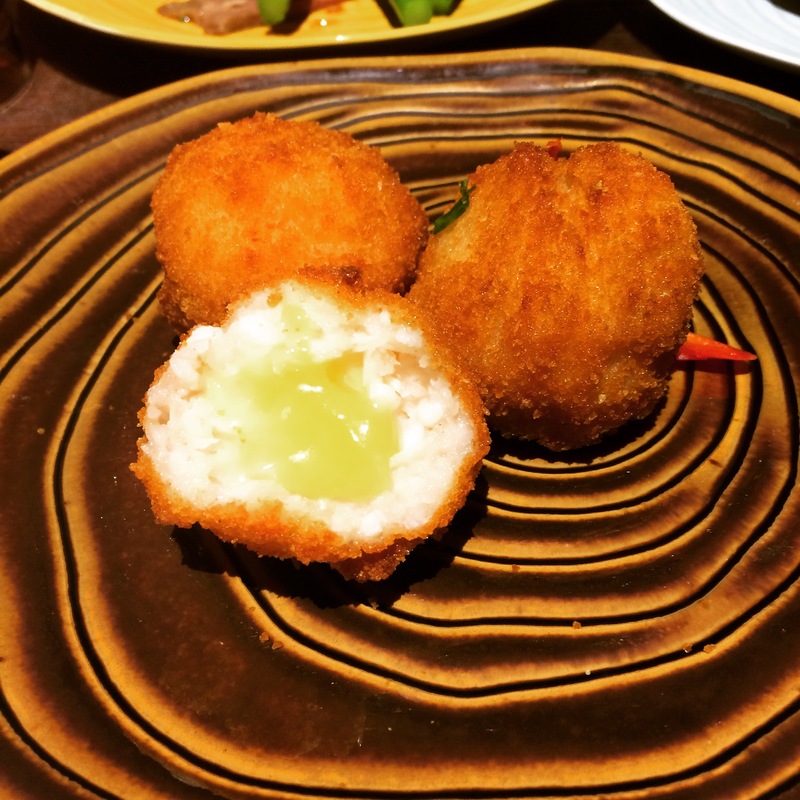 The cuttlefish and prawn balls filled with cheddar felt like all kinds of wrong, which almost made me enjoy them a little bit more. I’d get some just to test your reaction on seafood when cheese squidges out of it. V frowned, I smiled. 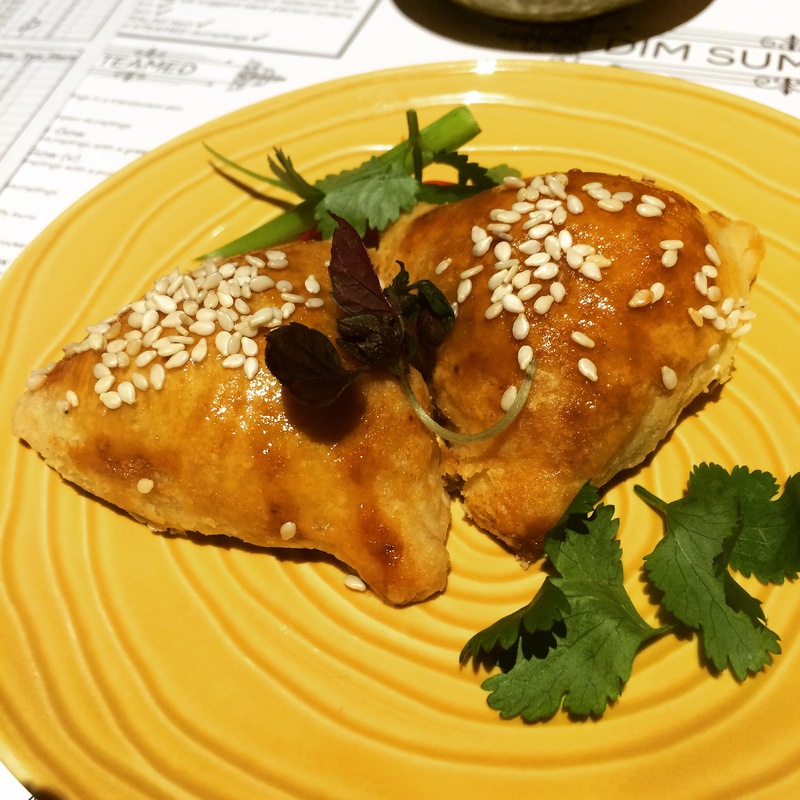 It’s only really the honey barbecue pork puff that wasn’t much cop. I was hoping for char sui sweetness in flaky pastry; we got a couple of dry mini pork pasties. 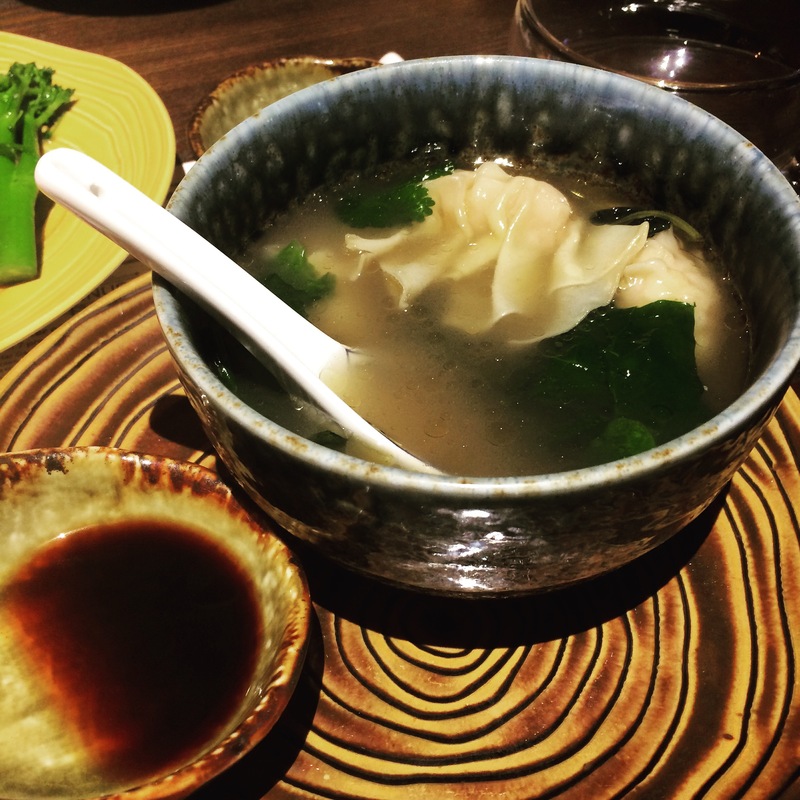 The prawn and chicken wanton soup didn’t set my world alight either although they didn’t scrimp on the number of wantons. 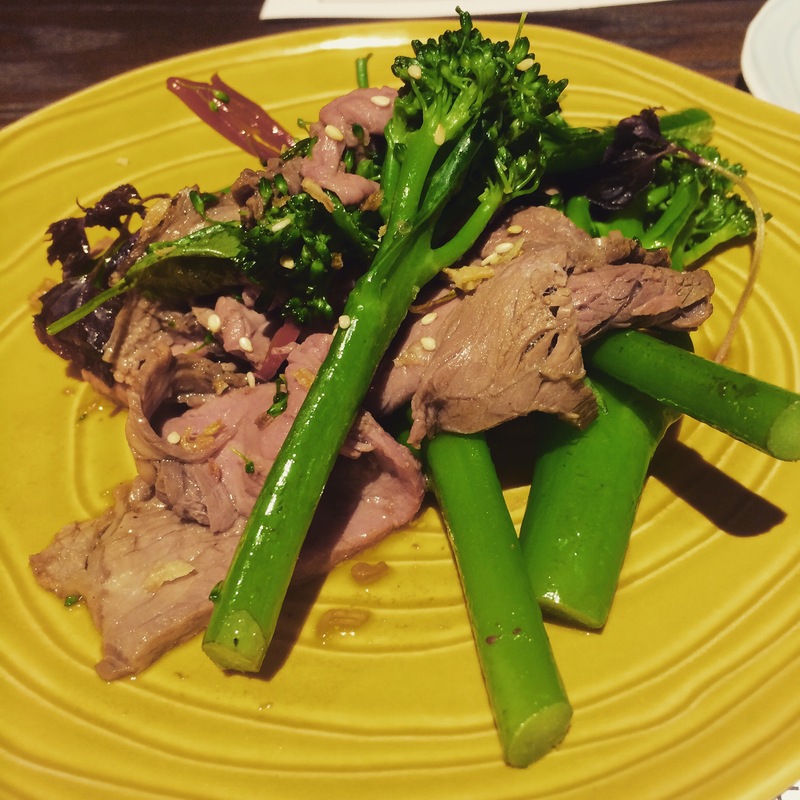 I’d definitely go for a salad (or two) – ours came with beautiful soft slices of rare beef and long crunchy broccoli stems in a light sour sauce. It was nice to finish on something a bit less stodgy – before getting back on the dumpling wagon for pudding. 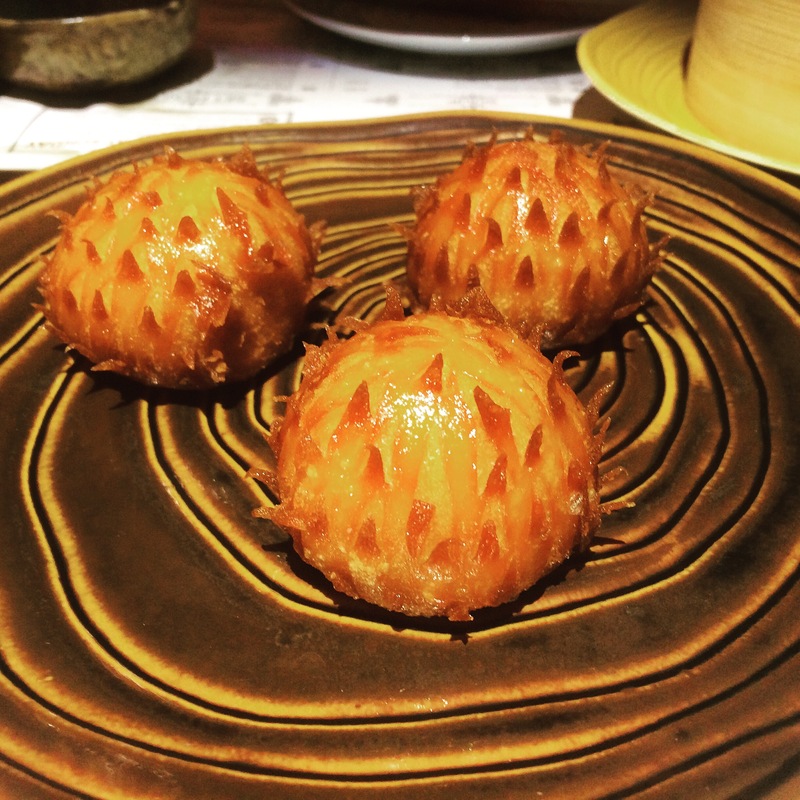 That would be the crispy custard buns in our case, deep-fried spiky little buggers with a custardy centre. The outsides had turned out a nice golden brown and kept the filling moist. 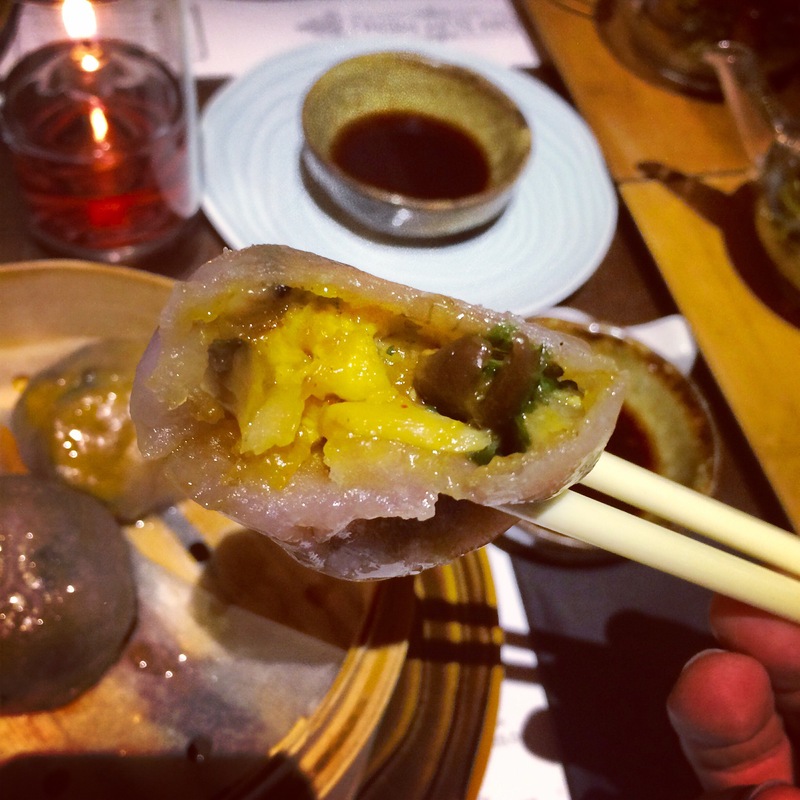 Fu Manchu might not be the most authentic dim sum experience you’ll find in the city, but it’s got to be one the most inviting. 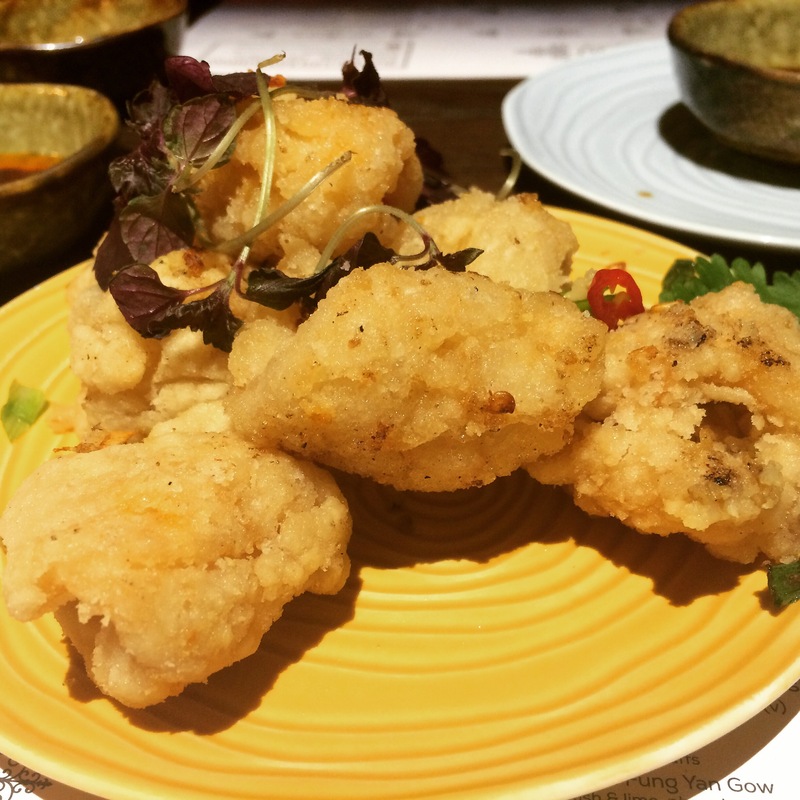 Food, service and price are all first rate (fatties can eat selected dishes til they burst on Sundays for £19.50 each), and you can even stay on past your feed, swap the jing tea for cocktails and party to house music til 3am at the weekends if the mood takes you. 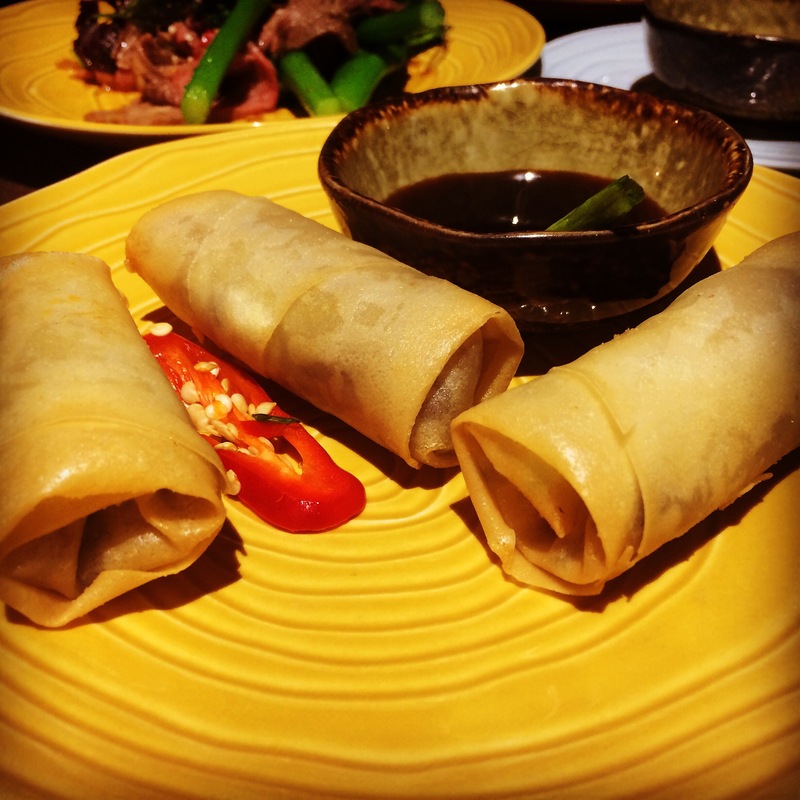 Just give yourself a breather after the food – dim sum in reverse on the dancefloor isn’t a pretty sight.